Scott joined Northwestern Mutual as a college intern and has been a full-time Financial Advisor for Northwestern Mutual since 1990. In this time, he has built a wealth management team that regularly achieves the highest honors across the financial services industry. Scott focuses on building long-term relationships based on integrity, knowledge, and commitment. Scott’s overall goal is to help people define, build, and enjoy prosperous lives. Scott is a life time resident of Colorado. He and his wife Holli have two children, Taven and Tanner. He has a balanced life with work and family, and attributes this to his top-notch team at the office. Gary joined Sparks Financial in 2004 as a Wealth Management Advisor. 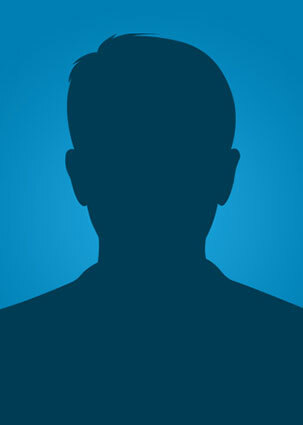 He has worked in the Financial Services Industry since 1999. Gary is a Colorado native and has four children with his wife Ande. He has been a dedicated coach in youth sports for over 30 years, and sits on the board for Denver Street School. Ted joined Sparks Financial in 2006 as an Advisor. Ted entered the financial services industry in 2000, yet his roots in the business date back over 40 years - from the careers of both his father and brother. Ted and his wife Emily enjoy skiing, hiking, and spending time outdoors with their three children. You may also find Ted playing and coaching Lacrosse, a passion from his days of captaining Penn State’s Men’s Lacrosse team in 2001. Pete joined Sparks Financial in 2010. He has worked in the financial services industry since leaving the U.S. Navy and moving to Denver in 1996. Having worked with clients through both the ups and downs of stock market cycles, Pete understands the real-world impact of financial risk and return. As an Advisor at Sparks Financial he brings that experience to life, building all weather portfolios designed around his clients’ individual financial planning goals. Pete and his wife Kathy have three children. Sports are a big family activity – volleyball, lacrosse, the Broncos, and the “family derby” – Spurs vs. Gunners. Pete’s passion is skiing with the family. They are active in the community and have raised many puppies for Guide Dogs for the Blind. Maggie joined Sparks Financial in 2013. As an associate advisor, she is responsible for insurance and investment implementation with a focus on planning. Maggie enjoys spending time with her husband, their five children and one granddaughter. She loves the outdoors and spending time playing golf, tennis and skiing. She is involved with her church and enjoys reading. Matthew joined Sparks Financial in 2014. He was previously an investment operations specialist for the Northwestern Mutual Denver office. As an Advisor he is responsible for insurance and investment strategy implementation with a focus on financial planning. Matthew enjoys spending time with his wife Jen. Passions include traveling and spending time at home with their English Bulldog Watson. You can find Matthew and Jen enjoying the cultural scene in Downtown Denver where they currently reside. Kristen joined Sparks Financial in 2016 but has been in the financial industry since 2007. As an Advisor, Kristen enjoys helping clients align their financial details to their life goals. Kristen and her husband Dan have two busy boys. She loves exploring new experiences and places with her family. Most of this exploring happens outside and in their Colorado backyard. She also is learning to love newer video games by constructing Minecraft bridges, while trying to keep the vintage games alive like Mario Bros and Mortal Kombat. Don joined Sparks Financial in 2016 as the Chief Operating Officer. He is an experienced executive with a demonstrated history of working in the financial services and technology industry. 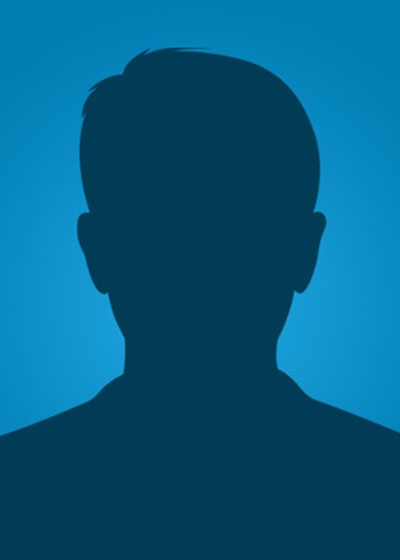 Formerly with Cisco Systems and NCR Corporation he is skilled in sales, sales management/leadership, professional services, data center, and software as a service (SaaS). Don enjoys dirt biking across the mountain peaks of the Colorado Rockies, water skiing, and bird hunting with friends and family. Julie joined Sparks Financial in January of 2017 as the Director of Insurance Operations and since has become the Director of Client Operations. Prior to joining Sparks Financial, she spent five years with Northwestern Mutual as a Director of Training and Development, in addition to running the Client Relations Center. As the Director of Client Operations, she oversees the overall client experience and seeks operational improvements to provide you with exceptional service. Julie resides in Aurora with her husband Jacob. In her free time Julie enjoys reading, wine tasting, outdoor activities, watching the Brewers and volunteering with the Kingdom Hall of Jehovah’s Witnesses- Centennial. Sarah joined Sparks Financial in 2018. As a Director of Office Operations she is responsible for day to day business operations for the firm. Sarah has over 7 years of experience in operations, including human resources, marketing, customer service, policy, program and project management. Sarah resides in Capitol Hill and is enjoying learning the city of Denver and all that there is to explore. In her free time, she enjoys spending time outdoors hiking, skiing, playing golf and scuba diving. Sarah’s largest passion is travel where she gets to discover new places and learn about different cultures. Chris joined Sparks Financial in 2009. As the Director of Financial Planning, Chris is responsible for our financial planning process, as well as personal, holistic planning for our clients. Outside of his role at Sparks Financial, Chris is also a professional climber, a high-performance driving instructor, and an artist. He and his fiancée, Melissa, live in Denver and spend most of their time in the outdoors and traveling. Nathan joined Sparks Financial in 2016 as an Investment Operations Associate. Prior to joining the team, he worked for the Northwestern Mutual Denver office for five years in a variety of roles, including two years of investment operations. Nathan lives in Denver with his fiancé. They enjoy staying active in Denver with their dog, who never seems to slow down. Drew joined Sparks Financial in 2018. As an Advisory Operations Specialist, he is responsible for service support for insurance, investment and planning operations. Drew resides in University Hills with his wife Laura. Laura and Drew have a passion for traveling and in their free time they like to get out on the golf course. Drew spends his spare time volunteering with Hope Kids which hosts fun events for families with children undergoing treatment at Children’s Hospital. John joined Sparks Financial in 2018 as Director of Business Development and Investment Strategy. He has been in the investment industry for over 29 years, most of that time with Russell Investments. He has worked extensively with some of the largest advisors in the United States. John lives in Lonetree with his wife of 25 years, Kathleen. They have two boys, both attending CU Boulder. John enjoys spending time with his family, going to yoga, and endless attempts at playing guitar. John and Kathleen plan on venturing into the greater outdoors to attempt all the famous Colorado 14ers in the upcoming years.